Simple ways to create places to relax in the workplace. In today’s culture it almost seems wrong to sit back and relax for even a few minutes a day, we are constantly on the go whether it be at work or in our freetime. As wrong as it may seem to take a little me time, to stop thinking about your daily tasks and take some time to reboot, it is very important for our health to slow things down for just a short period of each day. 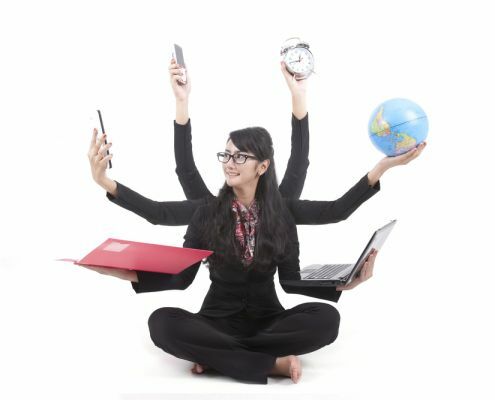 Working in an office enviroment can be challenging, fast paced and demanding, when balancing numerous tasks given to you throughout the day. 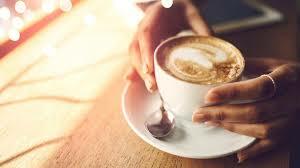 Therefore, when you get your daily break it is important for the location you take this break in to be satisfying enough to help you rejuvinate. 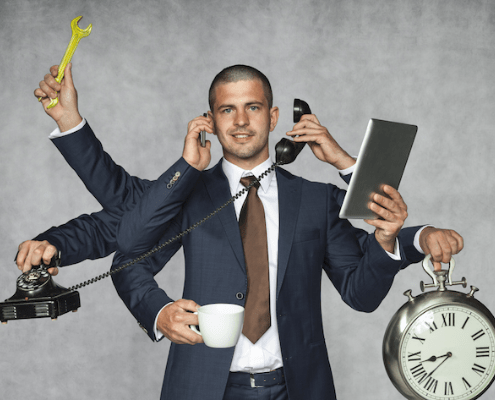 Taking time to read a book, sit back and get a coffee, or even chatting to other employees regarding topics outside of work can all help you escape the demands of the office. Which in return should allow you to return to your desk with a clear head and with a more productive outlook. In regards to the importance of taking a little me time, we have put together this blog to show you a few simple ways you can transform your office space to benefit your employees productivity. Everyone has their own way of working and their own way of relaxing; so accomadating this in the workplace is very important. 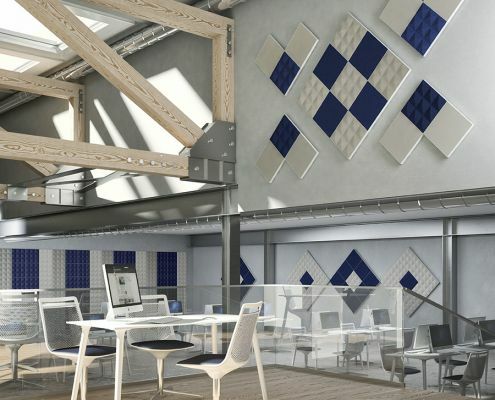 With a huge rise in open plan offices and co-working enviroments, this can lead to a noisy office enviroment with a large amount of employees working in one area. Therefore, you may look forward to your break to simply get a bit of peace and quiet and we completly understand that! 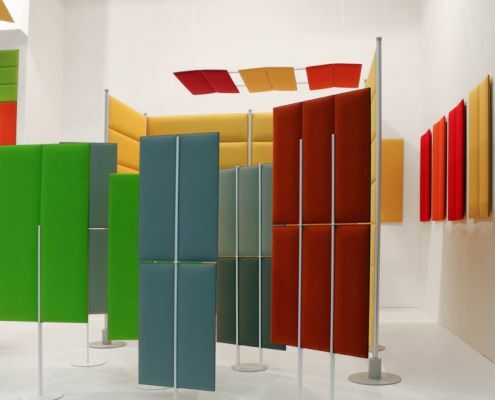 Firstly, acoustic panels are a great cost-effective solution to create privacy and a vital place to relax in peace. 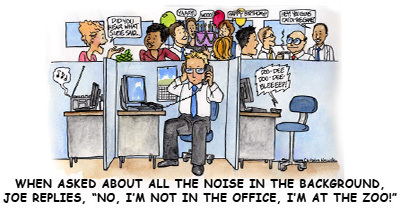 They can be used in meeting rooms, staff rooms and even office space to keep the level of noise low when it is the most important. The next step up to secure the ultimate private, quiet location is our range of office huts/caves ( Whatever you would like to call yours really). 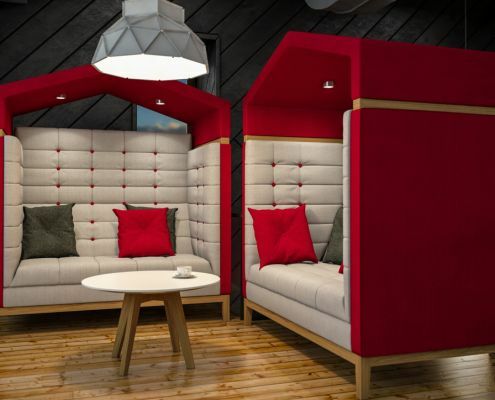 As well as looking amazing and making your office interior really stand out, these office huts can be perfect for your employees to escape and take some time out. On the other hand, they can be used as an additonal meeting room as they come with a range of media options fit for today’s technology! 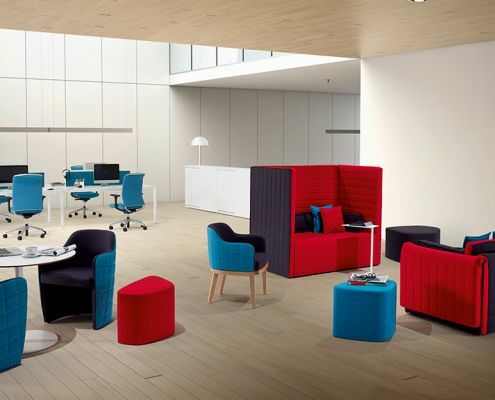 We have a huge diverse range of breakout furniture at Bevlan Office Interiors, so theres bound to be something you like the look of. But wait what is a breakout area? A breakout area is somewhere your employees can go on their break to escape their office desk, due to the nature of thousands of people’s job it is often likely for employees to develop eye strain and back pains. 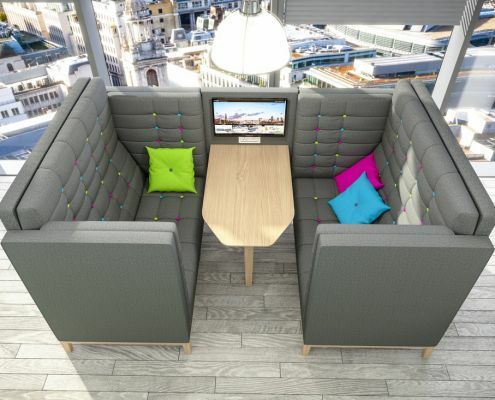 Therefore, taking small and often breaks throughout the working day is crucial, making it paramount for employees to have a place where they can just relax and escape their desk for a while. 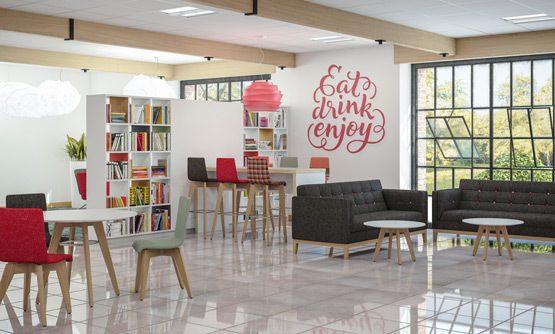 We have a great choice of sofas, comfy chairs, coffee tables and much more to give your employees the option to disconnect from their work for just a few moments. 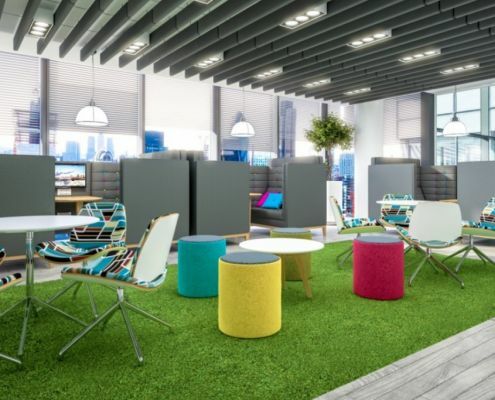 As well as increasing their productivity levels and promoting creativity; breakout areas have also been proven to help reduce stress levels which is just as important. So what are you waiting for? 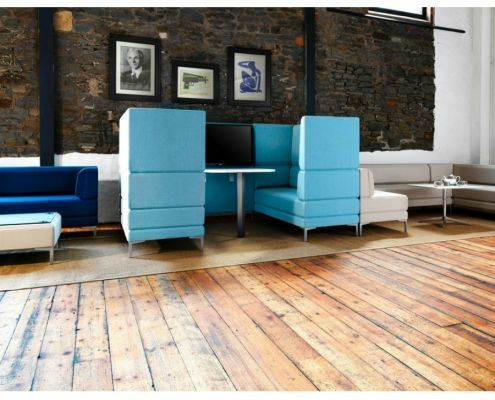 Click HERE to view our range of breakout area furniture, if you have any other ideas of what you wish your breakout area to look like then please give us a call on 01254 876666 or fill in our online enquiry form and we can make this happen! We understand that sometimes, you don’t really want the whole office to hear your conversation to whoever it is you have decided to call. Therefore,by placing a phone booth in your staff room or break out area this can provide employees with a place they feel comfortable enough to have a chat. You never know this chat could change their whole outlook on the day and increase their mood rapidly! We work with a range of suppliers who produce phone booths in whichever style you prefer, so please do contact us and we can get your phone booth on it’s way to you! Finally, we hope you have enjoyed this blog now go and enjoy some me time! If you have any questions no matter how big or small your project is please do not hesitate to contact us!